"There's no place like home," is one of the most famous movie quotes of all time and what fun to plan an entire party around RED GLITTER and blue gingham? I'm dying! This mama went all out in planning her daughter's second birthday. Enjoy the pictures below! A super sweet client of ours has let us design her daughters parties for 4 years now and we are loving all the ideas she has! This year, her summer baby girl, had a sweet party, lemonade themed with perfectly pink and yellow decor. Below are just a few of the fun goodies we designed for this fabulous children's bash! Have we mentioned how much we love parties? We are working on details for a 50th birthday celebration and couldn't wait to share the invites! Follow us on Instagram @betweenthesheetsco for more goodies! Friends, we designed a super lush party for a party girl in Kentucky... This mama had great ideas and was so great to work with. I'm sharing just two pics from this party to wet your appetite. OMG it is so adorable! And don't forget, Between the Sheets Co. can bring your ideas to life! Just let us know your theme and we'll run with it! A sweet client of ours hosted a baby shower for her brother and sister-in-law and we were hired to design the invitations and food table. What a fun event for this little slugger! 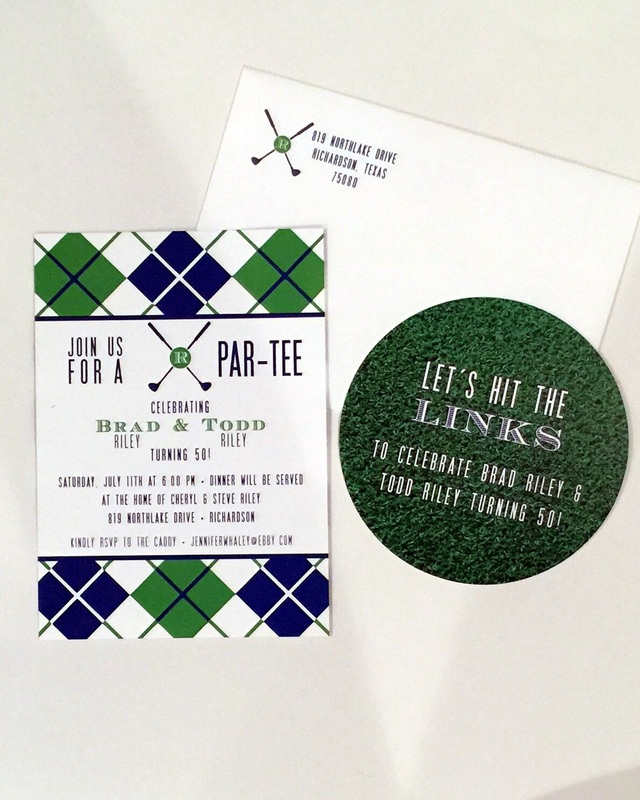 Items we designed and printed include the invitations, food signs, bunting, book labels, and favor labels for the Cracker Jack boxes. We are so lucky to work with such great clients! For this party, we supplied the party details to really pull this shindig off! Custom everything, from cupcake toppers to cups, napkins and favor labels...you can even see our melamine plate in use while the birthday boy gets sung to! After talking with the folks at the aquarium, I decided that location would best suited for a smaller group. Next on my list, The Aqua Shop. I gave them a call and visited the store and was sold! This place was perfect. It's an indoor surf shop with a retail section as well. The Aqua Shop has bounce houses, a back room for parties, and indoor surfing. I booked the shop and began to think about the invitations. Since this party was on location at The Aqua Shop, I decided to keep the dessert table simple. I ordered wave patterned fabric and had a table cloth made. The party favors were super fun sharks, sunglasses and a shark tooth candy necklace. I used the party favors to decorate the table. I had custom m&m's made, which were a hit to kids and grandparents alike! I also used Swedish Fish to accent the table. The party was during lunch, so I brought Chick-fil-A nuggets in with chips and juice boxes. And let's not forget the fruit! I made a watermelon shark and added green grapes. I found the tutorial here. The kids were in awe (and it was SO easy!). I ordered a sheet cake from my local bakery and asked them to make the icing look like waves because I had a great idea brewing in my mind. I found a plastic shark at Toys R Us, cut it in half like I did for my dino party (see the tutorial here), and had the cutest cake! To get some cute pics, I ordered a diecut shark head and a personalized wooden surf board. Using these simple props made the pictures more fun to take and the kids were really interacting with each other. Oh what fun it is to plan a party...Add the fact that it's my own son and I'm over the moon. When he asked for a shark themed party, I was stumped. Once I sat down and started designing his invite, I knew I had struck gold. Here's a sneak peek...More to come after his party!